The Zionist Organization of America (ZOA) has criticized the 54 members of the U.S. Congress who signed a January 21 letter urging President Barack Obama to address the humanitarian crisis in Gaza. The signatories urged an end to what they called a blockade of Gaza by Israel and Egypt and while noting that Israel had imposed restrictions on Gaza out of legitimate security fears, said nothing about what dangers the relaxation of restrictions for which they are asking might have on Israeli security. The 54 Members of Congress, all Democrats, who signed the letter are: Raul Grijalva (Arizona); Lois Capps, Sam Farr, Bob Filner, Barbara Lee, Loretta Sanchez, Pete Stark, Michael Honda, Lynn Woolsey, Jackie Speier, Diane Watson, George Miller (California); Jim Himes (Connecticut); Andre Carson (Indiana); Bruce Braley (Iowa); John Yarmuth (Kentucky); Elijah Cummings, Donna Edwards (Maryland); Michael Capuano, William Delahunt, Jim McGovern, John Tierney, John Olver, Stephen Lynch (Massachusetts); John Conyers, John Dingell, Carolyn Kilpatrick (Michigan); Keith Ellison, Betty McCollum, James Oberstar (Minnesota); Donald Payne, Rush Holt, Bill Pascrell (New Jersey); Yvette Clarke, Maurice Hinchey, Paul Tonko, Eric Massa (New York); David Price (North Carolina); Mary Jo Kilroy, Marcy Kaptur (Ohio); Earl Blumenauer, Peter DeFazio (Oregon); Chaka Fattah, Joe Sestak (Pennsylvania); Peter Welch (Vermont); Jim Moran (Virginia); Jim McDermott, Adam Smith, Jay Inslee, Brian Baird (Washington); Nick Rahall (West Virginia); Tammy Baldwin, Gwen Moore (Wisconsin); Glenn Nye (Virginia). 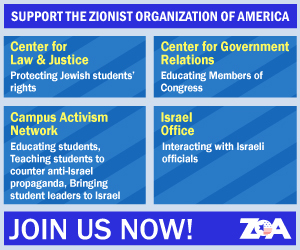 ZOA National President Morton A. Klein said, The ZOA finds it deeply worrying that a group of Congress Members would sign a letter that ignores the genocidal doctrines of Hamas, which controls Gaza and the fact that Hamas has relentlessly assaulted Israel for years, with special intensity after Israel unilaterally withdrew from the area in 2005. It is meaningless and insincere for these Members of Congress to claim that they recognize that Israel has imposed restrictions on well-founded security grounds  then call for the lifting of those restrictions. As a Philadelphian, I am particularly upset that two Congressmen from my own area, Joe Sestak and Chaka Fattah, signed onto this ignorant, anti-Israel letter. We also criticize the signatories for their refusal to call Hamas a terrorist group, as is evident from their phrase, Hamas and other militant groups. Hamas has not only deliberately murdered hundreds of Jewish men, women and children in scores of suicide bombings and hundreds of shootings and roadside bomb attacks, but its Charter calls for the destruction of Israel (Article 15) and the murder of Jews (Article 7). It expressly justifies its self-declared war on the Jews by reference to the notorious anti-Semitic forgery, The Protocols of the Elders of Zion (Article 32). By any reasonable standard, it is a loathsome terrorist group. Shame on these Members of Congress for lacking the moral courage to call terrorists by their name. Under any reasonable definition, Gaza under Hamas is a hostile entity waging war on Israel and Israel is well within its rights  and we would argue, its duty  to impose restrictions upon what goes into Gaza. To suggest that Israel must endanger its people so that Gazans suffer less is morally obtuse and offensive. The Members of Congress would have done better to have urge Hamas to rescind its murderous charter and to renounce terrorism in word and deed. If Hamas did so, the restrictions on supplies entering Gaza would in time cease to be necessary.